Every quarter, we propose new innovation events and public workshops, accessible to our customers and our global community of innovators. Join us, and play amongst industry thought-leaders and practitioners. Eric Schmidt, CEO of Google, one of the most innovative companies today, is famous for proclaiming “we run this company on questions, not answers.” Questions are at the heart of innovation. And the ability to ask good questions determines the quality of the innovation it invites. How do you frame a good question that invites breakthrough innovation? Or one that allows hidden customer insights to emerge? In this 2-day masterclass, discover a practical structure that can be immediately used in your work and life, focused on ample practice and coaching opportunities. Roslina Chai is a lawyer by training and an innovation practitioner with over 20 years of experience spanning the corporate, entrepreneurial and public sector in New Zealand, Malaysia, China and Singapore. 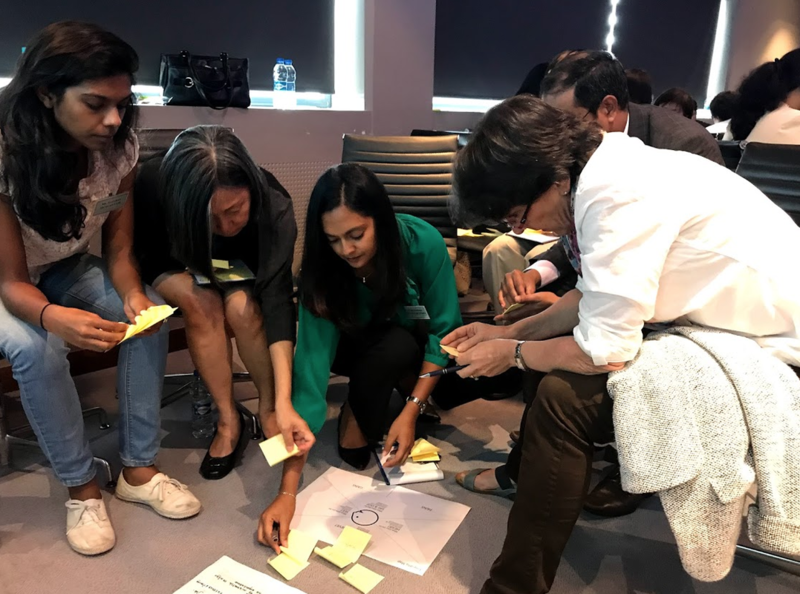 Roslina’s workshops are rich with stories drawn from experience across multiple industries including private equity, education, shipping, Formula 1, F&B, urban design, and technology. In the recent decade, Roslina works extensively with senior leadership teams on strategy, innovation and communication as a consultant, facilitator, and an executive coach. As a polymath and master facilitator, Roslina loves weaving together wisdom from quantum physics, neuroscience, philosophy, ancient traditions and management theories, to create learning spaces and embodied experiences that enable every person’s essence and innate creativity to flourish. En 2019, les activités autour des 5 ans du Made in Moris se poursuivent avec l'atelier "Inove pou nou bann klian, avec Made in Moris", en collaboration avec Red Dot. Vous êtes un passionné de l'innovation? Ce workshop fun, dynamique et collaboratif s'adresse à VOUS ! Que vous soyez CEO, Ingénieur, Manager et Exécutif du Marketing, des Ressources Humaines, des Finances, des Opérations... Rejoignez-nous! A travers des outils et activités pratiques nous guiderons le développement de vos idées innovantes à forte valeur ajoutée pour vos clients. En fin de session, un panel de clients testera vos idées et donnera son feedback en temps réel. To succeed with Agile, teams and organizations should focus first on “being Agile” as a foundation for success in “doing Agile.” Agile Fundamentals emphasized that Agile is a mindset, not a single methodology or framework. This ICAgile accredited course covered Agile basic concepts, guiding principles, and terminology. To help assimilate the tools and techniques learned, the training session included a mixture of team exercises throughout the course. The use of realistic case studies helped reinforce concepts learned. Another FULL HOUSE!! What a night of inspiration and courage from Fuckup Nights Mauritius Vol 2. With amazing speakers, who shared their failure stories which brought so much laughter and tears... and a wonderful audience who responded with so much generosity and love. Our heart is full! We were very proud to host Mauritius' first Fuckup Nights (FUN, for short!). 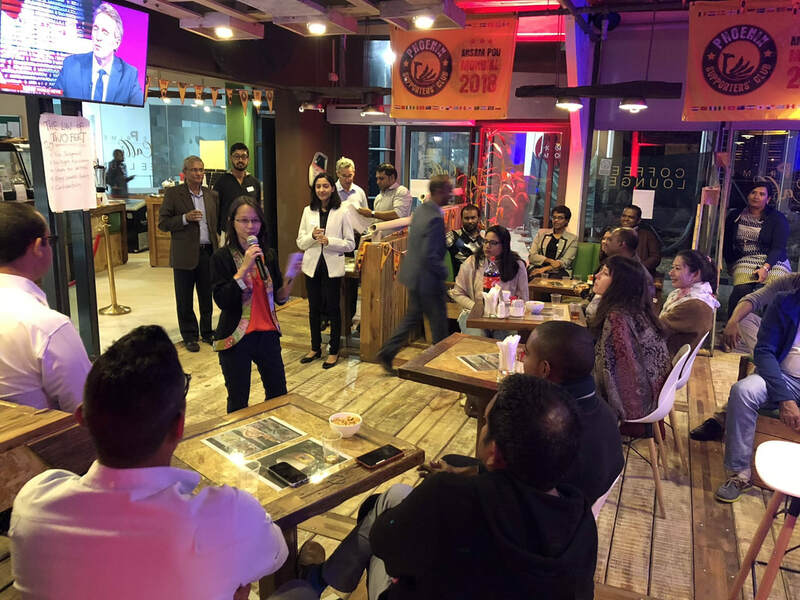 This event was part of the FUN global movement that runs in over 250 cities around the world, where business people come, without embarrassment, guilt or shame, share their biggest professional failures. We are amazed by the interest and number of participants (more than 130) who turned up for this first FUN: such a night of inspiration changing the conversation around business failures and changing the mindsets! What happens when you bring "JACKS" (=innovators) of corporate, social and public sectors of Mauritius together? Lots of insightful discussions about how to make companies make full use of their people's talents, how to help Mauritians better manage their money, how to create an environment for effective leadership, how to valide customer demand at low cost/low risk, how to change mindsets and create communities of innovators, how to reduce prison recidivism, or how to build a team in Mauritius or find international investors to support startups! And lots of commitments to concrete actions to build a better Mauritius TOGETHER! 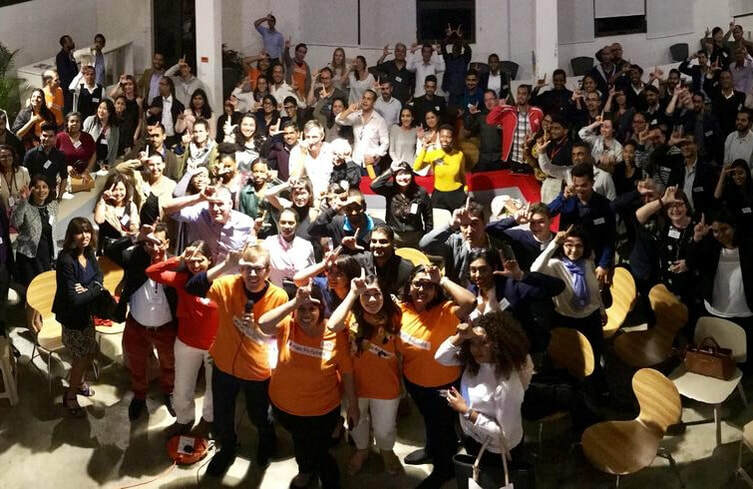 Such an inspiring night for our second Mauritius Innovators Meetup! We discussed topics from how to build a dynamic and robust entrepreneurial ecosystem, to how we can move from a middle-income to high-income country, how mobile app visibility actually "works" in mauritius, and how corporations can come together to recycle and reduce waste. 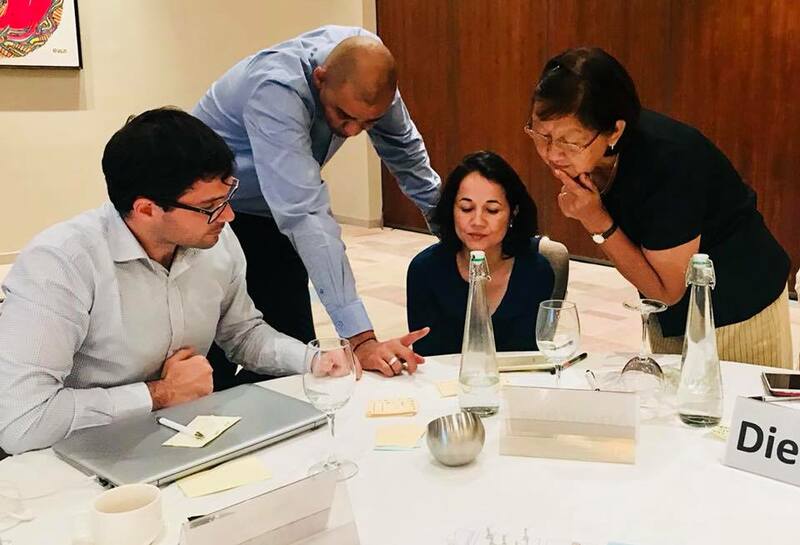 In partnership with the Mauritius Institute of Directors (MIoD), we held a 1-day interactive session with CEOs, Directors and C-level Executives, who wished to have a deeper understanding on how to lead a Digital Transformation within their organisations. We discussed behind the scenes with Mobile App Development, application of disruptive technologies to the business, real costs of technology innovation, and innovation costs and trade-offs. First Mauritian Innovators Network meetup - “unconference” style, where participants got to collectively set the agenda. How do we define “Mauritius Innovation”?, What could Mauritius be the best at?, How do we move from I to We?, How might we transform our culture of “indebtedness”, How might we reduce road accidents?, How might we combat fake news?, How might we reimagine the role of companies in society (beyond CSR)?, How might we support more women at work? Such a rich discussion, which ended with a list of ideas and personal commitments that we'll be sharing very soon! If these are the questions we are holding in our hearts, I have high hopes for what “Mauritian Innovation” will look like. In partnership with the Mauritius Institute of Directors (MIoD), we held a breakfast session especially for CEOs and Directors to have all their burning questions answered. How do I build an innovation culture within my organization? How can I get quick and measurable results? How can I innovate on a budget? Where do I even begin? Together with the Mauritius Research Council (MRC), we hosted a one-day workshop on social innovation that brought together diverse professionals from the public, private and NGO sectors to discover innovative solutions from around the world, and to experience human-centered design methodologies to solve complex problems.